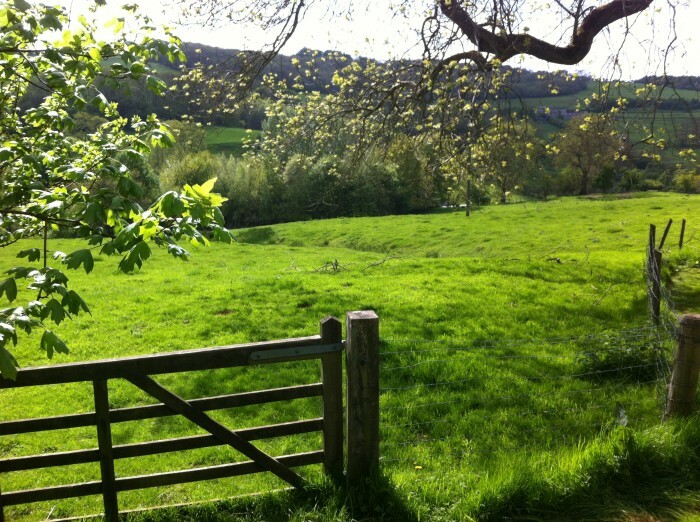 The Cotswolds is what many people think England ought to look like… extraordinary ancient, honey-coloured limestone villages with tiny shops and inns, sheep grazing in stone-walled fields, rolling hills, forests, fields, falconry – and more sheep. A country-lover’s dream. Your guide will collect you from your central London hotel and together you will explore all the things that make The Cotswolds so special. For extraordinary reasons, ordinary people were building their cottages and houses in stone from the 1200’s in this region, at a time when most towns and villages were built in wood and as a result are long gone. A visit to this area of England is very much trip into the past. Combine the dreaming spires of Oxford or the quirky majesty of Blenheim Palace with a visit to the ancient villages and countryside of The Cotswolds. After a simple lunch we’ll spend the afternoon visiting some of the most beautiful countryside in England. 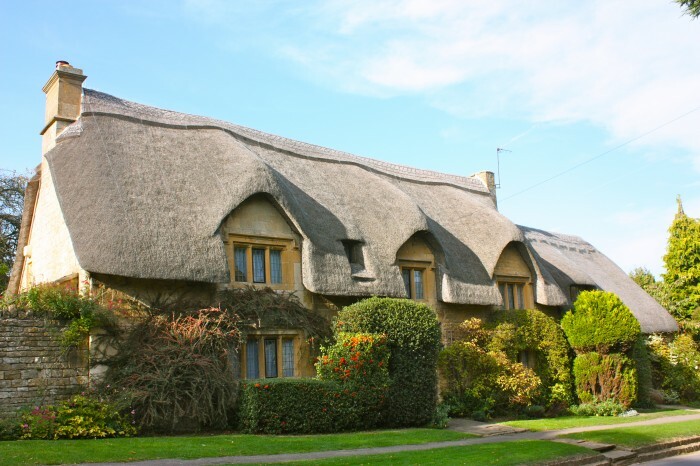 THE COTSWOLDS is what many people think England ought to look like… as evidenced by most British period dramas – many of which are filmed in this area. For extraordinary reasons, ordinary people were building their cottages and houses in stone from the 1200’s in this region, at a time when most towns and villages were built in wood and as a result are long gone. A visit to this area of England is very much trip into the past. 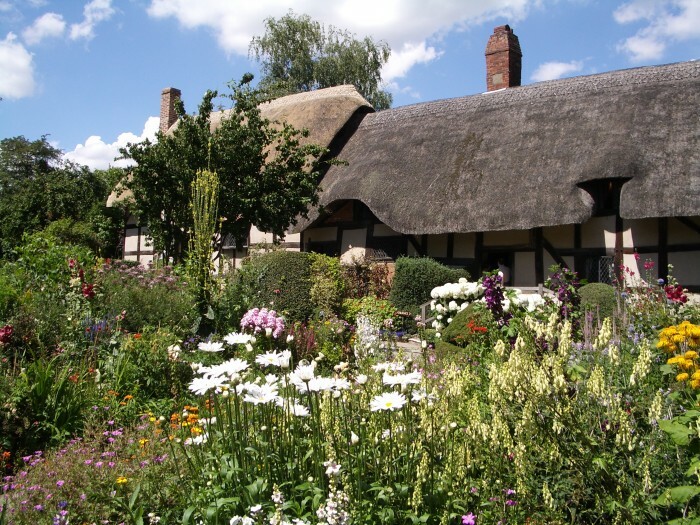 The Bard’s hometown of Stratford-Upon-Avon is situated just on the Northerly edge of the famously beautiful countryside known as The Cotswolds. A fantastic combination for a full and memorable day. Shakespeare’s Grave – complete with curse and missing head! The above is just a sample of what is possible, if the weather is wonderful, you could perhaps have lunch in the garden of a lovely old pub, visit antique shops in the area, or see a falconry exhibition. A full day of experiences both magical and literary and a fantastic day out for children. 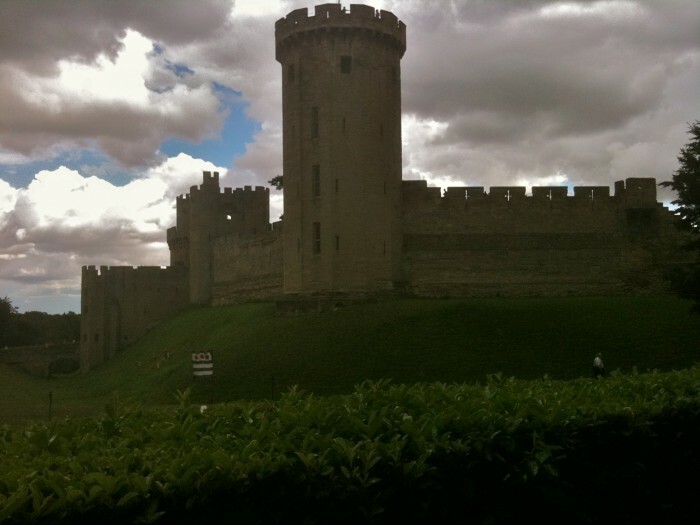 WARWICK CASTLE, the former home of the Earls of Warwick is not just a beautiful ‘stately home’. It is a proper ‘keep ‘em out or lock ‘em up’, haunted (yes, really!) medieval fortress on a hill, complete with battlements, towers and dungeons. In 1978, Madam Tussaud’s bought the castle and set up wax figure tableaux to illustrate the historical figures (and ghosts) connected with the castle. A real family destination very much aimed at a younger audience. From a fairytale castle you’ll move on to visit the birthplace of a real life literary legend. See Shakespeare’s Grave – complete with curse!